La carta va dirigida a la Curia diocesana de parte de un grupo de católicos, en su mayoría jóvenes. Si bien se aprecia la obra educativa y caritativa llevada adelante por la Iglesia hasta ahora, los firmantes exigen que la diócesis no sea “vasalla” de China y que cierre la etapa “colonial” de su obra como proveedora suplente de servicios. El compromiso de los cristianos abarca también la política, defendiendo la libertad religiosa de los fieles en China y la libertad en Hong Kong. Hong Kong (AsiaNews) – Un grupo de católicos de Hong Kong, en su mayor parte jóvenes, han suscripto una carta abierta titulada “Repensar el futuro de la Iglesia Católica de Hong Kong”. La idea de la misiva es dirigirse a la curia diocesana y a todos los fieles de la diócesis, reclamando un cambio de estilo y de énfasis en la misión de la Iglesia local. La carta abierta fue difundida casi al día siguiente del funeral de Mons. Michael Yeung. Quizás, preocupados por una posible influencia de Beijing en la elección del nuevo obispo, los firmantes piden a la diócesis que no sea “vasalla” de China, sino que sostenga la libertad religiosa de los católicos chinos y de las demás comunidades religiosas. Si bien en la misiva se aprecia la contribución cultural, educativa y caritativa que la Iglesia de Hong Kong ha realizado hasta ahora en favor de la población del territorio, se exige terminar con la experiencia “colonial”, típica del período británico, donde la Iglesia ha ofrecido servicios de carácter supletorio. Asimismo, los firmantes piden que la Iglesia se aboque al campo político. Sus miembros deben luchar para salvaguardar la dignidad de las personas y la libertad democrática de Hong Kong. A continuación, transcribimos el texto completo de la carta en idioma inglés. It is saddening that the Most Rev. Bishop Michael Yeung returned to our heavenly home early this month. Since the Diocese does not have a Coadjutor Bishop, the society is concerned with the issue of succession. The Diocese of Hong Kong has long played an important role in society. Diocesan Bishop is the fully rightful administrator of the Diocese. His words and deeds are looked upon by many. Adding to that, the Chinese government has recently stepped up its persecution over religious freedom, and Hong Kong’s freedom and rule of law are fading. However at this very moment, the Holy See decides to engage in a rapprochement with the Chinese government, sowing uncertainties among the faithfuls as well as some non-Catholics. It is therefore inevitable that who is going to lead the Catholic Church in Hong Kong attracts much attention. Since the ascension of Xi Jinping, the Chinese government lashes out on the civil society with an iron grip. Crosses are burnt, churches are torn down, Muslims in Xinjiang are sent to detainment camps, rights activists are rounded up, and “low-end population” everywhere are evicted forcedly. Xi’s administration also adopts a hard-line policy towards Hong Kong. Through the Special Administrative Region Government, it oppresses dissidents in the name of nationalism. The principle of “One Country, Two Systems” becomes a laughing stock in the international community. There is no way that the Hong Kong Diocese can flourish on its own. When freedoms of speech and assembly are tightened, freedom of religion will be next. For example, if the new Anthem law is passed, Catholic schools have to submit to it. Our Catholic education which stresses on moral and civic education will be chained by the nationalism which the Chinese Communist Party advocates. The Church shares the joys and sorrows of all. The plagues faced by the oppressed are also the plagues the Church has to face. The provisional deal signed by the Holy See and the Communist Party fails to stop persecution. On the contrary, persecution is intensified because of it. At this critical moment, if the Hong Kong Diocese supports the deal with no reservation, and refuses to make righteous criticisms, it will be in danger of being marginalized, or worse, swallowed up. When the Holy See belittles the unique historical position of the Hong Kong Diocese, it is in danger of becoming just a vassal of the Church in China. 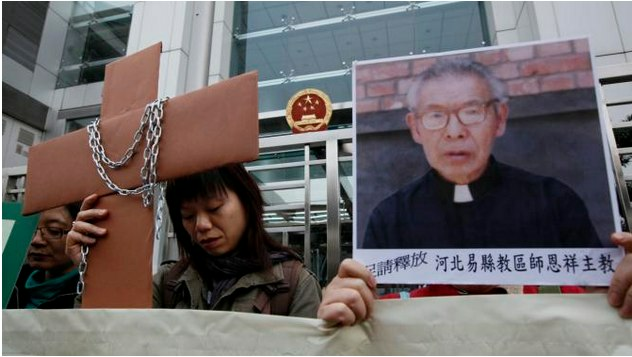 And when the Church in China is under the iron-grip of the Communist Party, the Hong Kong Diocese will also be put under the claws of the Party. Besides external threats, the Diocese is also facing internal difficulties. The source of these difficulties is the fact that our religious lives cannot respond to Kairos, the sign of times. A growing number of followers baptised each year does not imply progress. The Diocese’ pastoral focus is on the provision of charitable services, lacking critiques against social injustices and structural evils. Faithfuls are nurtured to focus on private and family morality. Social participation, which is also a form of spiritual formation, is marginalised based on rhetoric such as “the Church does not touch on politics” and “separation between politics and religions”. The Diocese is currently promoting youth ministry. Yet, even on this level, the focus does not go beyond personal formation and organising mass festive events. The prophetic ministry of the laity as well as social teachings of the Church remain on the margin of diocesan formation. Spirituality is the root of religious practices. If the spirituality advocated merely emphasises personal good, private ethics and resists public engagement and responsibility, would it encourage the laity to continue a culture that detaches the faith from society, that only focuses on personal sainthood, and that solely concerns eschatology? What are the ways out? We dare not say that we can offer a perfect solution. Yet, through cautious discernment, we come up with the following analyses and suggestions, and we would like to offer them to our pastors and leaders in the Church. At the heart of the matter, the Diocese must renew its discourse over the role of the Church, her position, and her mission. Reject the thoughts of the world, and rebuild a local mission based on spirituality. First, the Diocese must start a process of decolonisation. Since the British rule, the Diocese self-positioned itself as the government’s collaborator, and provided all kinds of social services. The colonial government, in order to reduce its own burden and social responsibility, of course welcomed the Church’s proposal. There is no doubt that this relationship allowed the Church to faithfully act out the role of the servant. The Church has made substantial contributions, establishing many excellent schools, as well as well-developed medical and welfare organizations. Yet, the relationship rendered the Church dependent on the government’s favour. Enjoying abundant resources and high social status, she has forgotten its obligation to be a prophet. Since the handover, because of drastic political change, individual clergy and people began to make efforts to fulfil the prophetic role. However, there is no significant change to the Diocesan pastoral directions. And its relationship with the government has not undergone any structural changes. It is already nearly 20 years since the last Diocesan Synod. There is an urgent need for the Diocese to renew itself, evaluate its pastoral priorities, and scrutinise its relationship with the government. Some members of the Church believe that in a time of difficulty, the Church can protect her living spaces by befriending the regime, and maintaining a cosy relationship with the government. This judgment is not only ahistorical, but also selfish. In the past, some local Churches did choose to stay friendly with autocracies, with the belief that such a strategy could earn them freedom. It is true that those Churches were allowed to operate, sometimes even granted political privileges, but they lost the trust of the faithfuls and the people, as well as their souls. The moral high ground wilfully ceded is hard to reclaim. “What profit would there be for one to gain the whole world and forfeit his life?” (Matthew 16:26) What is more important is that such a “strategy” is against the spirit of our Christ. Jesus Christ wants to save all souls, not just the souls of Catholics; The Church should defend the human dignity of everyone, not just that of those baptised. When the Church stays close to the powerful and neglects the oppressed, she will lose her credibility (reference to Justitia Mundi, document of the Synod 1971). We advocate the separation between the Church and the State, not between the politics and religions. The state and the Church do not submit to the other. Such a separation does not lead to the argument that the Church cannot engage in public affairs. On the contrary, to live up the prophetic role, the Church has the responsibility to voice out to defend public good and human dignity, and to walk with the oppressed, with a possibility of even contending with the state. The Hong Kong Diocese should also abandon the yoke of nationalism. The Diocese has long played the role of the “Bridge-church”, bridging the Church in China and the Universal Church. And in its past teachings and pastoral documents, nationalism is prevalent: “Hong Kong is a part of China”, “blood is thicker than water”. We have no intention to start a debate of nationality and sovereignty. Neither do we want to change the national sentiments that many of our pastors hold. Yet, we would like to point out: The national discourse is political. It is not the Church’s Doctrine, not to mention unalterable Truths. By prioritising nationalism, the Diocese would not be able to respond to young people who question their national identity, and the faithfuls who are dissatisfied with and anxious towards politics in China. In the long run, such a priority will only make the Diocese out of touch from the younger generation, impeding pastoral development, and causing unnecessary internal disputes. The “Bridge-church” should assist the Church in China to achieve communion with the Universal Church, and give a helping hand to our brothers and sisters persecuted by the Communist Party. However, it is unreasonable that the role of the “Bridge-church” should trump the role of “the Church in Hong Kong”. From the previous statements made by high-level officials of the Holy See, as well as news regarding past ad limina visits, it is obvious that the Holy See relatively neglects the development of the local Church in Hong Kong. Yet, the Church in Hong Kong has her own unique historical development and situation, and faithfuls in Hong Kong of course have their unique needs. The Diocese should make pastoral priorities based on the needs of the faithfuls. 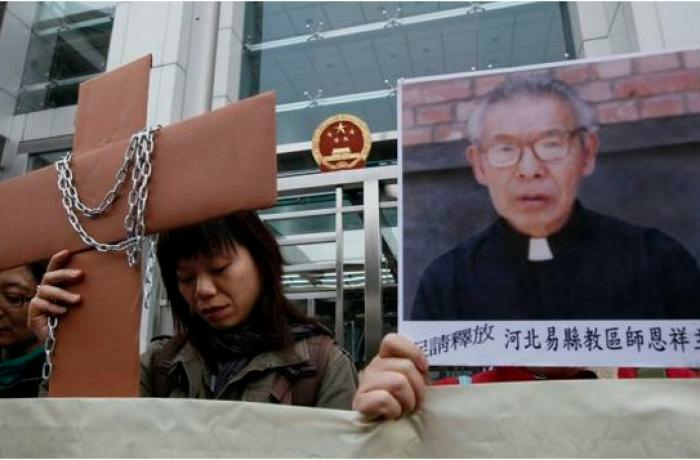 The Hong Kong Diocese is not a vassal of the Chinese government. A genuine “Bridge-church” should bridge the persecuted faithfuls with the Universal Church, not the Communist Party and the Roman Curia. The localisation of the Church shall not be confined to inculturation. The Church should be incarnational, she cannot ignore any social, economic, and political plights, nor can she shirk the responsibility of accompanying the oppressed and the marginalised. Gaudium et Spes, the Pastoral Constitution On the Church in the Modern Times of the Second Vatican Council makes this clear in its opening: “The joys and the hopes, the griefs and the anxieties of the men of this age, especially those who are poor or in any way afflicted, these are the joys and hopes, the griefs and anxieties of the followers of Christ.” Therefore, our shepherds of the Diocese should also share the joys and sorrows of all Hong Kongers. The incarnation of Jesus tells us how poor and least our Lord was. He never compromised with any political forces. He came into contact with social elites, but always walked with the poor. The essence of the Church should model on the public life of Christ and the early Church: Promulgate our faith, stand on the frontline, bear the yoke of all brothers and sisters who are suffering from all kinds of injustice, and have no fear of losing a comfort zone. In his pastoral letter ''Pastoral Exhortation to the Local Church'' , Cardinal John Baptist Wu specified, 'the "servant role", the "prophetic role" and a "balanced development" of these roles are important concepts guiding us in our participation in social services and in bearing witness to the Kingdom of God. Assuming a servant role, we directly serve those who are in need and "bind up the wounds of the wounded members of our society". Assuming a prophetic role, we make every effort to "eliminate the social causes of these wounds". We must call attention to the ills of the age, especially the injustice underlying social structures and policies, and call for changes that society may follow the path of human dignity.' Our departed Bishop Michael Yeung also invited us, in his last homily at the Midnight Mass of Nativity, to care for the least, the last and the lost in society. When we practise works of mercy, we should also denounce the structural evils in the political, economic and social domains. In this time, we do not need a well-governed and flourishing charity that is good at compromising. Instead, we need a spiritual sheep pen that shares the joys and sufferings of the world. We believe that, 21 years after the handover and 18 years after the last Diocesan Synod, it is high time the Diocese renew its mission to the Church and the society. We fully understand that with the sudden loss of our shepherd, it will be hard for the Diocesan Curia to respond to the above-mentioned challenges in a short period of time. Therefore, with our love of and hope in the Church, we offer the above suggestions. We call on our pastors and all the faithfuls to “re-think” and contemplate the future of the Catholic Church in Hong Kong. In the light of the Holy Spirit, let us be united, and deliberate together in response to the challenge of the time. May we be united, and be willing to walk with Hong Kong. We pray to Our Lady of Immaculate Conception, the Patron of our Diocese. May she be with us always, and intercede for the grace of courage that we need to live out the spirit of Christ. With her intercession, may we be fearless to begin our journey. * En la foto: Manifestación frente a la Oficina de la representación de China en Hong Kong, protestando en favor de los cristianos perseguidos.